In the midst of a busy holiday season, just how do you make a child’s December birthday just as special as one that occurs any other time of the year? about it as a separate entity, and hold any celebrations apart from the existing holiday festivities. Or, if the birthday child agrees, have the party slightly later, in early January. 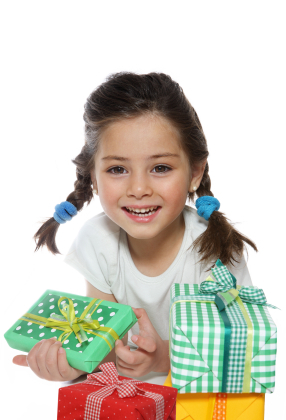 This gives the birthday girl or boy the chance to be the focus of attention once the holiday season passes. Partygoers may appreciate January as it enables them to take advantage of after Christmas sales. celebration, not just another holiday event. for your birthday next June, Uncle Fred,” just might make a casual point. If despite your good intentions, you or your child feels their birthday just gets lost in the jumble, consider having a half-party on their summer half-birthday. Host a simple, non gift-bearing gathering of family or close friends, and focus on your child. Have a special meal, do some favorite things, and let your child enjoy a day just for them.